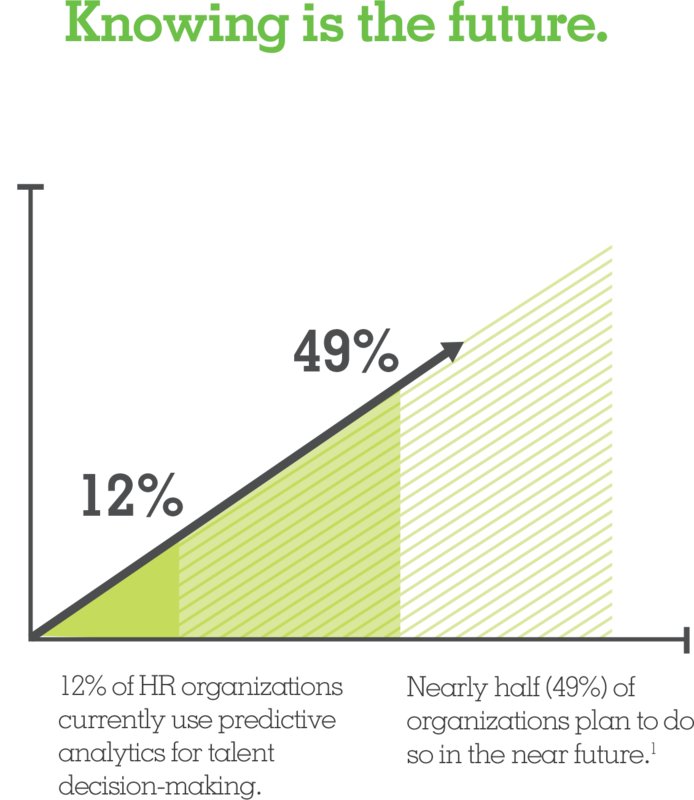 The age of one-size-fits-all HR is over. Scroll down to see what HR for a new day looks like. All of the things that set your business apart? Those are all of the things we make it our job to know, personally, so we can guide you through whatever the day—or year—brings. Although no one knows your business as well as you, you can’t be an expert at everything—and you shouldn’t have to be. That's why ADP TotalSource® puts a dedicated team of experts in your corner. From helping you win the talent war, to distilling data into business insights, to offering compliance support and risk mitigation, we supply guidance backed by data, expertise, and proven processes. When you invest in the power of ADP TotalSource, we’ll give dedicated guidance and support along with the tools and solutions you need to help you manage your business’s most valuable asset—your people. Do something good for your employees and your business, and let us provide you our industry-leading services and solutions, including talent management, compensation and benefits, risk mitigation and compliance, payroll, taxes, time tracking, and scheduling. We’ll even create custom data visualizations based on business insights to help you make strategic decisions that propel the human side of your business. For your business to rise to the occasion and reach its full potential, you need a partner you can rely on; but more than that, you need a partner you can trust. Let us combine our expertise with yours to tailor a comprehensive program based on your unique needs so you can set strategic goals—and meet them. It’s a new day. Now, you’re not just competing for customers and market share. You also have to battle it out for the talent to take your business to the next level. Your employees are your ticket to success. However, in today’s competitive market, simply finding top talent can be a full-time job. Attracting and retaining them? Well, that’s even more complicated. ADP TotalSource puts the power of data to work for you, delivering actionable insights and helping you choose the right candidate for every position. In addition to providing the tools you need to compete for top talent, we’ll also advise and guide you every step of the way, so you can make important decisions with confidence. That’s the power of knowing, instead of guessing. We’ll start by helping you create an employer brand and strategy based on your unique needs and goals. Next, we’ll help you create compliant job descriptions and transform them into engaging job postings, exposing your open positions to top talent via multiple major job boards with a single click. Then, we’ll work together to track applicants, rate top candidates, and schedule interviews seamlessly. Once you’ve connected with top candidates, we can also offer guidance on appropriate interview questions, as well as manage background checks, drug testing, and new-hire reporting. As for retaining top talent, it’s a fact that the best people flock to businesses that provide competitive benefits. We can help with that, too. With ADP TotalSource, your employees have access to Fortune 500-caliber employee benefits, including cost-effective insurance, access to an employee scholarship program, perks and discounts, and a competitive 401(k) retirement savings plan. In addition to these benefits, we can also help you attract and retain talent through training and development programs. Free coffee won’t cut it. Employees expect more, and we can help you give it to them. We know your people are what make your business unique. To harness that power, we’ll help you track everything from payroll to performance, so you can make data-driven decisions that achieve strategic goals. Daily HR tasks may seem straightforward, but it takes powerful technology and human expertise to keep things running smoothly. With ADP experts in your corner, you can rest easy knowing you have a partner to lean on. No matter your employee setup or industry, our specialists can help you accurately process payroll, taxes, vacation and sick-plan setup, and wage garnishments. We also calculate and withhold federal, state, and local payroll taxes, prepare and file tax documents and Forms W-2, and manage unemployment taxes and process claims. Through it all, we assess your unique needs and make recommendations based on our intimate knowledge of your objectives and how your business operates so we can help you stay competitive. Our solutions enable convenient management of time and labor with online and mobile access. Easily automate scheduling, timekeeping, and attendance tracking, and expedite approvals, improve timecard and payroll accuracy, and manage coverage. You can even keep track of employee vacation and time-off requests with a single calendar that incorporates your business’s rules. Plus, our team will be there every step of the way to answer questions and give expert advice. ADP TotalSource provides secure cloud-based storage for employee records where only authorized individuals can access them. In addition, we’ll help you manage employee performance, career development, and training. Managers can keep track of employees’ progress on a single dashboard that records not only annual reviews but also new hires, disciplinary actions, and performance improvement plans. What’s more, managers and employees can access hundreds of training courses to help build skills and compliance as well as improve engagement and encourage retention. To keep track of everything in one place, you can view your analytics dashboard, which collects real-time information and distills it into easy-to-understand data visualizations. Of course, with a dedicated team of experts in your corner, you won’t have to monitor these things alone. We’ll go through your data with you to help identify trends, make recommendations, and take action to keep your business on track. We can even provide benchmarking so you can be sure your business remains competitive in terms of compensation, benefits, and other measures. As your business grows, we’ll grow with you, and we’ll be there to support and guide you through any growing pains. Let us help you prevent and prepare for possible challenges, so you can rest easy knowing we’ll be there come what may. No business owner wants to see an employee injured—or to be accused of wrongful employment practices. That said, the fact remains that the best way to protect your employees and your business is to prepare for the things you’d rather not think about: injuries and lawsuits. Luckily, your dedicated team makes it easy with alerts that keep you ahead of the game. Let us help you mitigate risks, ensure safety, and manage regulatory compliance. We can even provide risk and management training to help prevent possible problems before they arise. Let us monitor regulatory changes so you don’t have to. Instead, you can focus on your business, knowing that we’ll notify you of any changes and help you make adjustments to your practices as needed. Any business, no matter how well managed, can be vulnerable to employee injuries and claims of wrongful employment practices. We help you comply with safety standards and regulations so you can prevent the worst from happening. Should something go wrong, however, your dedicated team will be there to help. DIY HR isn’t a long-term strategy. No matter the size of your business, you and your employees can benefit from the expertise and guidance of a proactive partner. There’s a reason more small and midsized businesses partner with ADP TotalSource for HR outsourcing solutions. ADP has the experience and the tools to help cover your talent, benefits, payroll, and compliance needs so you can spend more time doing what you love. From the first job posting to the final paycheck, each and every employee who works for your business is sure to benefit from the professional experience you’re able to deliver—not to mention awesome benefits package. With our expertise and proactive guidance, you can propel the human side of your business. Choose a partner you can trust to manage the most valuable asset you have—your employees. Choose ADP TotalSource. Download the printable PDF version of this brochure. *Some services mentioned are available for an additional fee. 1“What’s next for HR in 2016?” – CEB Corporate Leadership Council. 2U.S. Bureau of Labor Statistics, U.S. Department of Labor. USDL-162056. 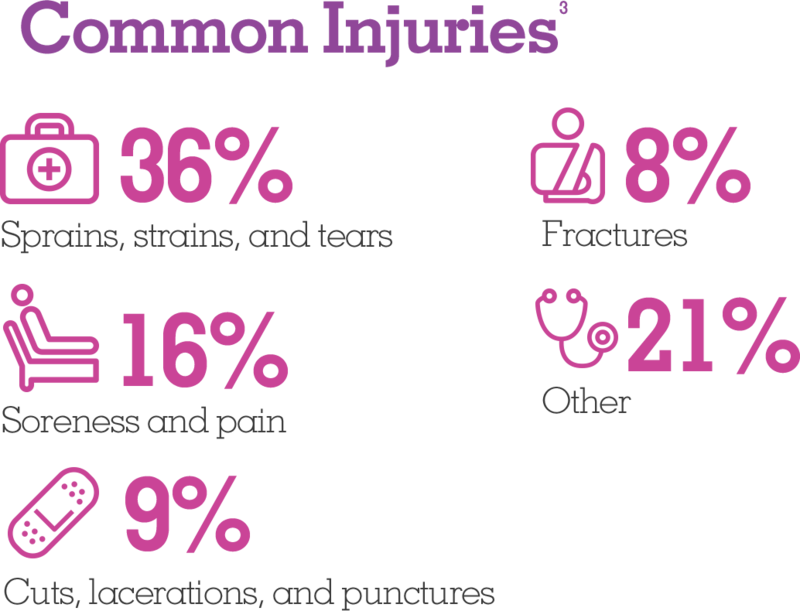 Employer-Reported Workplace Injuries and Illnesses – 2015. The ADP Logo, ADP, and ADP TotalSource are registered trademarks of ADP, LLC. ADP A more human resource is a service mark of ADP, LLC. All other trademarks and service marks are the property of their respective owners. Printed in the USA. Copyright © 2017 ADP, LLC.